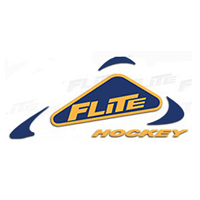 Flite Hockey, Inc. is one of the leading Canadian manufacturers of ice and roller hockey equipment and apparel. Flite Hockey produces hockey equipment that include skates, shin guards, pants, shoulder pads, elbow pads, as well as goalie equipment. Flite Hockey was founded in 1993 by founder and president, Gerry McSorley who was unhappy with the quality and prices of hockey skates available to Canadian hockey players. On a flight back to Toronto, contemplating his passion for hockey and a lifelong fascination with airplanes – the company name was inspired - Flite Hockey. On their 650-acre farm in Cayuga, near Hamilton, Ont., Bill and Ann Marie McSorley drove their seven boys and three girls hard. Every family activity, from softball, soccer or hockey games to chores, was charged with the intensity of a Stanley Cup showdown. "In the mornings we'd work in the barn," says Marty, who is 14 months younger than Chris. "When we finished, we'd come in for lunch and race out to play until Dad corralled us all to get to work again. My mother was a very good softball player. She'd take us out and pitch to us, show us how to catch, and there'd be a baby hanging on her leg." Every Christmas the kids would sneak into the local rink to play with the new hockey equipment left under the family tree. "We battled each other pretty hard," Marty says. "Every one of us wanted to make the NHL." Growing up in a family with six brothers and three sisters, Gerry understands the economics of hockey. It’s an expensive game. That’s why Flite is committed to offering the best products at the best prices without compromising durability or protection. With Ontario Canada as a home and with hockey in their blood Chris McSorley coached the Anaheim Bullfrogs to RHI's first championship in 1993, he later coached the expansion Buffalo Stampede team to a championship crown. Marty McSorley played in the National Hockey League (NHL) from 1983 to 2000. A versatile player, he was able to play both the forward and defense positions. Playing for the Los Angeles Kings (1989–1993) Marty inherited the title of "Wayne Gretzky's Bodyguard". He is also a former head coach of the Springfield Falcons of the American Hockey League (2002–2004). In addition to his hockey career, he has also worked as an actor, appearing in several film and television roles. - Flite Hockey and Thanks to Gerry! Flite Ice Hockey Pants - A trusted hockey pant brand for Canadian, European leagues, the Olympics and the NHL, we also provide you with a large selection of Flite hockey pants, Flite ice hockey pants and Flite hockey pants equipment for great discounted prices at HockeyPants.com.